According to Cleveland.com, a Cuyahoga County judge placed four division champion Adrien Broner on probation after he pleaded guilty to misdemeanor charges in connection to allegations of a June 2018 attack of a woman at a downtown Cleveland nightclub. Broner, 29, was set to begin trial Monday on felony gross sexual imposition and abduction charges. Instead of going to trial, Broner pleaded guilty to misdemeanor charges of assault and unlawful restraint. Broner received a suspended six month jail sentence and placed on probation for two years. He also has to pay Broner a $1,000 fine and reimburse the woman for more than $4,200 in medical bills. 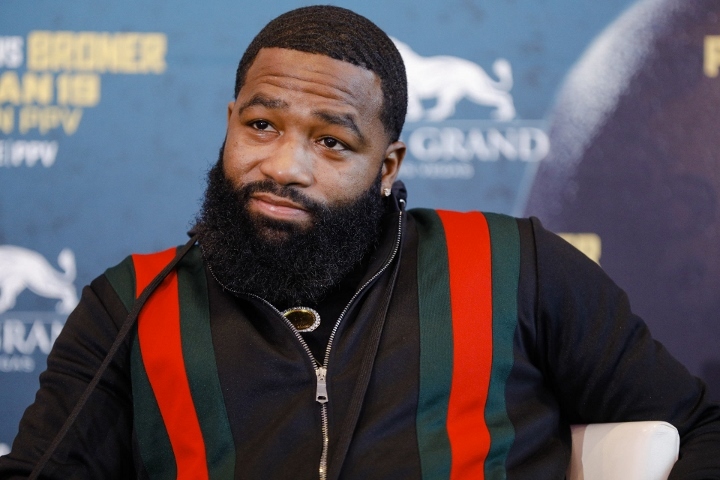 The 35-year-old woman told Cleveland police that she went to the Park Social Club, and at some point was sitting in the VIP section, when Broner came up to her from “out of nowhere,” and allegedly laid on top of her and started forcibly kissing her. This was the second sexual assault case that Broner finished up in recent weeks. Broner’s attorney, Ian Friedman, said in a statement that the two were “very pleased” to put the matter behind him. “While confident in a successful outcome at trial, Mr. Broner opted to accept the significantly reduced misdemeanor plea so that he could immediately return to focus on his professional career free from further distraction,” Friedman said. Last month, prosecutors in Atlanta last month dismissed misdemeanor sexual battery and other charges brought against Broner in February 2018 after a woman accused him of groping her outside a Louis Vuitton store at a mall. Broner has been out of the ring since January, when he lost a twelve round unanimous decision to WBA “regular” welterweight champion Manny Pacquiao at the MGM Grand in Las Vegas. The loss brought Broner’s record down to 33-4-1 with 24 knockouts. ← Yes, WrestleMania’s too long… what should WWE do about it?